AN ENGLAND netball star vowed that she would one day represent her country in the sport when she was a pupil at Gordon’s School. Eboni Beckford-Chambers achieved her dream – and was in the gold medal-winning team at the Commonwealth Games. 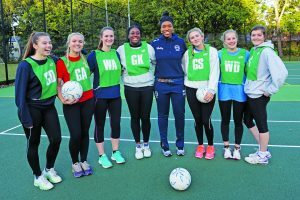 Fellow pupils and staff at the secondary school in West End had no doubt that she would triumph at netball, which she began playing when she was just seven years old.